double to a little over $1 billion by 2010.
donors’ disbursements were already around US$8.5 billion in 2006.
consequences for aid, multilateral institutions and conditionality. OECD DAC members, who are also referred to here as ‘established donors’. Bruce Currie-Alder and the anonymous reviewers for International Affairs. debt sustainability in Africa. (Paris: OECD Development Centre, July 2007). paper prepared for launch of Development Cooperation Forum (London: Debt Relief International, 2007). to bring into the DAC Chile, Israel, Estonia, Russia and Slovenia. tuted on average 13.5 per cent of all such aid. The first section of this article examines these fears about the emerging donors. standards and increasing debt burdens in countries to which they are offering aid. the existing multilateral development assistance regime. The rise of emerging donors: a cause for alarm. Studies 34: 2, 2007, pp. 223–36. Naim in Foreign Policy in 2007. These concerns are all worth exploring. Emerging donors and unconditional support of rogue states. and, most recently, turning around a Chinese shipment of arms to Zimbabwe. stepped in to take their place. 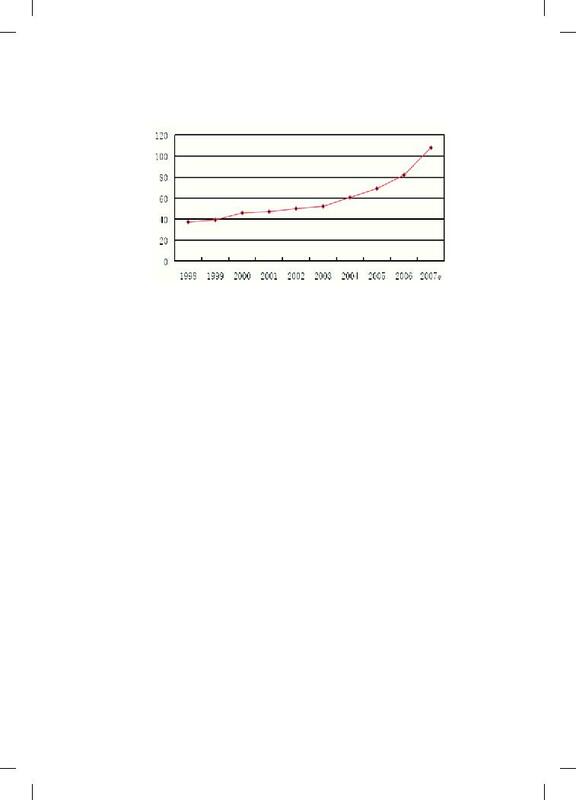 increase over the same period in 2006.
this ‘rogue’ state to enjoy strong economic growth, reaching 11 per cent in 2007. Moises Naim, ‘Rogue aid’, Foreign Policy, online, March–April 2007.
Review 24: 4, 2006, pp. 371–85. See Chris Alden, China in Africa (London: Zed, 2007). sudan1103/, accessed 26 Aug. 2008.
ap/2007/07/01/ap3875543.html, accessed 26 Aug. 2008. A. S. H. Smyth, ‘China masters the African game’, The First Post, 6 Feb. 2007, www.thefirstpost.co.uk/index. php.menuID=1&subID=1117, accessed 26 Aug. 2008.
economic disaster has in fact followed acceptance of aid from emerging donors. export volumes and higher public revenues. China’s impact on policy choices needs more careful analysis. Free-riding on multilateral (and bilateral) debt relief. Sudan’, Washington Post Foreign Service, 13 Jan. 2007, p. A13. creating new problems for the future of the recipient countries. sible lending and seek to involve other interested parties’. as commercial loans and investments. cancellation of approximately US$1.28 billion is being negotiated at present. the loan, the second to relieve the debt. Reisen, Is China actually helping..
Group of Seven, ‘Communiqué of G7 finance ministers’, Washington DC, 13 April 2007, at www.g7.utoronto. ca/finance/fm070413.htm, accessed 26 Aug. 2008. Cornell universities’ conference on ‘New directions in development assistance’, Oxford, 11–12 June 2007. July 2005, www.opendemocracy.net/globalization-G8/south_2658.jsp, accessed 26 Aug. 2008. 2006, www.afpc.org/china-africa.shtml, accessed 26 Aug. 2008. (15 per cent), and Sudan (12 per cent). does not publish this information and it is extremely difficult to assemble. Bypassing good governance and environmental standards. tion by stepping in with a no-strings-attached loan to fund railways in Nigeria. a decision facilitated by a $2 billion package of soft loans from China. Reisen, Is China actually helping. ness/6446025.stm, accessed 26 Aug. 2008.
some cases even in the face of serious risks of political backlash. imply about the impact of emerging donors on standards. accountability (Cambridge, MA: MIT Press, 2000), pp. 181–218. poor, the area remains undeveloped and 46 miners died in an explosion in 2005.
small local coal mines prevent and monitor gas explosions. in a position to implement. several important deficiencies in the existing system of development finance. Why is aid from the emerging donors so attractive. among poor countries with the established development assistance regime. Smyth, ‘China masters the African game’. Zhao Xiaohui and Jiang Xueli, ‘Coal mining: most deadly job in China’, China Daily, 13 Nov. 2004, www. among themselves. How have these pledges played out. by the post-9/11 security ‘imperatives’. These have had a huge diversionary effect. In the early days of the so-called ‘war on terror’, aid flows were not diverted. Afghanistan, Egypt, Sudan, Ethiopia, Jordan and Colombia. not qualify as ODA under the OECD DAC definitions. to 4.5 per cent in 2005. 29 G8, ‘Gleneagles G8 communiqué’, 8 July 2005, www.g8.gov.uk, accessed 26 Aug. 2008. 30 OECD DAC, 2006 Development Co-operation Report, Summary, February 2007 (Paris: OECD, 2007). 31 World Bank, Global Development Finance 2007 (Washington DC: World Bank, 2007), p. 55. 32 Ngaire Woods, ‘The shifting politics of foreign aid’, International Affairs 81: 2, March 2005, pp. 393–409. 33 OECD DAC, 2006 Development Co-operation Report, table 8. 34 OECD DAC, 2006 Development Co-operation Report. budget/cbj2008/, accessed 26 Aug. 2008. 36 Department for International Development, DFID Annual Report 2007 (London: DfID, 2007). 37 Department for International Development, DFID Annual Report 2007, p. 263.
is some reason to believe it will. as a result suggest that non-DAC fl ows of aid are rising but still not signifi cant. Worldpress.org on 6 Nov. 2006, http://www.worldpress.org/Africa/2554.cfm, accessed 26 Aug. 2008.
in 2006): OECD DAC, 2007 Development Co-operation Report (Paris: OECD, 2008), table 33.
www.cgdev.org/content/publications/detail/5492/, accessed 26 Aug. 2008. Chinese aid fi gures do not include debt relief, unlike DAC donors’ reported ODA. sented $900 million of the continent’s $15 billion total in 2004. 2005, according to data from China’s Ministry of Commerce. with Africa has been increasing dramatically. for the period 2001–2006 are roughly double those for the period 1996–2001. Social Development in 2005 were almost 20 per cent higher than those in 2001.
which date it received none). A good overview is provided in Alden, China in Africa. Esther Pan, China, Africa, and oil (New York: Council on Foreign Relations, 26 Jan. 2007), http://www.cfr. , accessed 26 Aug. 2008.
articles/2007/03/12/business/oil.php, accessed 26 Aug. 2008.
ing the rising share of China and India in Africa’s trade over the same period. with that core set of policies. cent or more of the programme’s conditions. programmes collapsed or were interrupted. Equally, doubts have arisen about whether there is a known recipe for success. But they have found this difficult. growth in the 1980s; and Sub-Saharan Africa: from crisis to sustainable growth (Washington DC: World Bank, 1989). while failing to have an impact on the main goal, namely to attract investment flows. (Washington DC: IMF, 4 Sept. 2001). to accompany the formulation and implementation of government policies. down in donor consultative and oversight groups. institutions such as the Gates Foundation and other public–private partnerships. affairs, equality and mutual benefit, and peaceful coexistence. leconomicgovernance.org, accessed 26 Aug. 2008.
nomicgovernance.org, accessed 26 Aug. 2008. (London: Overseas Development Institute, 2005). wish for support aimed positively at directly promoting growth. costs which sometimes outweigh the value of the aid. process took place in September 2008 in Accra. www.oecd.org/document/31/0,3343,en_2649_33721_41165727_1_1_1_1,00.html, accessed 26 Aug. 2008. OECD, ‘Survey on harmonisation and alignment’, p. 9.
alignment in aid agencies’, ODI working paper 248 (London: Overseas Development Institute, 2005). reduce transaction costs vastly on both sides of the aid relationship. multilateral agencies—the UNDP, World Bank, IMF, WHO, WTO and so forth. taking externally demanded actions, many of which are contradictory. Bank for a particular use—often supplementary to the institution’s core work. Bank to do what we want’. By 2006 this proportion had in fact dropped to 38 per cent. in the institutions of coordination. the World Bank (Washington DC: Center for Global Development, 2006), p. 90. Department for International Development, DFID Annual Report 2004 (London: DfID, 2004). Department for International Development, DFID Annual Report 2007, p. 140.
has been recognized, but little progress has been made towards resolving it. meet with non-DAC member donors. engaging all donors. Its first meeting was held in New York in 2008.
to engage in the institution. could become significant contributors of both resources and ideas. ‘ownership’ and improve the effectiveness of aid is proving difficult to implement. donors are being welcomed with open arms. and investment which expands the productive parts of poor countries’ economies. unable to confer promised degrees of ‘ownership’ on aid-receiving countries. www.un.org/ecosoc/newfunct/develop.shtml, accessed 26 Aug. 2008. Institute, 2008), http://www.ipacademy.org/asset/file/361/Woods_Economy.pdf, accessed 26 Aug. 2008.
still very much in their infancy. donors an incentive to engage. Manning, ‘Will “emerging donors” change the face of international cooperation.’, p. 378.